A double CD release, featuring two April 1972 shows from multi-track tape. 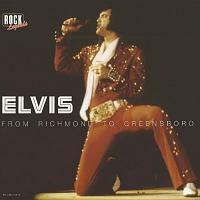 Both the Richmond show found on CD-1 and especially the Greeensboro show on CD-2 have been released several times before. Also in great sound quality. The Richmond show from April 10 was first released in stereo on Madison's Red Hot In Richmond. The sound quality is a bit better on this new release, however. Less muddy and in general overall better fidelity. It sound like a better source, not only better mastering.sound. The Greensboro show sounds identical to the mono version first released on The Greensboro Concert by Triangle.